▶ SoldThis listing was sold on Jun 29, 2018 for the price shown here. Wow, what an opportunity! This 4BR, 2.5BA is priced to sell! LOCATION, LOCATION, LOCATION! 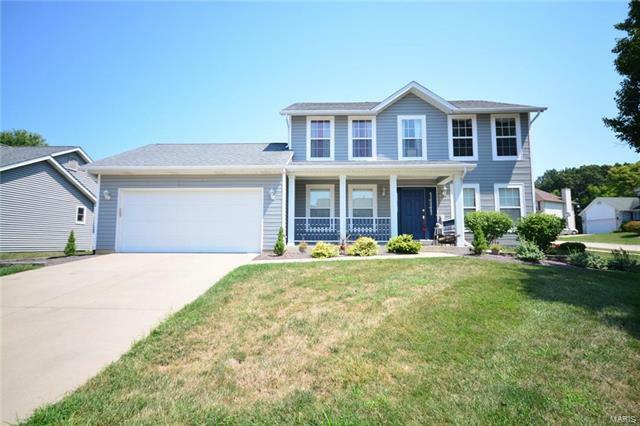 Minutes away from Hwy 70, 94 and Page extension in sought after Bogey Crossing Subdivision and Francis Howell SD. This corner lot has great curb appeal with a beautifully manicured lawn! Lots of Living space in this lovely two story open floor plan. Entryway with living room & dining room leads to spacious Family Room with wood burning Fireplace. Open kitchen with central island and adjacent breakfast room. Main Floor Laundry. Large master bedroom with spacious master bath, soaking tub and separate shower plus 3 more sizable bedrooms. Original floor plan includes extended Breakfast Room, Family Room and Master Bath. Updates include New AC/Furnace in 2014! Installation of an energy shield (a 2nd form of insulation for affordable utility bills) You will be proud to call this home and did I mention, it is priced to sell! Hwy 70 to Hwy 94 South to Right on Zumbehl, Left on Graystone, Left on Walters Way, Right on Brookline to home. Hwy 364 to Hwy 94 North then Left on Zumbehl.